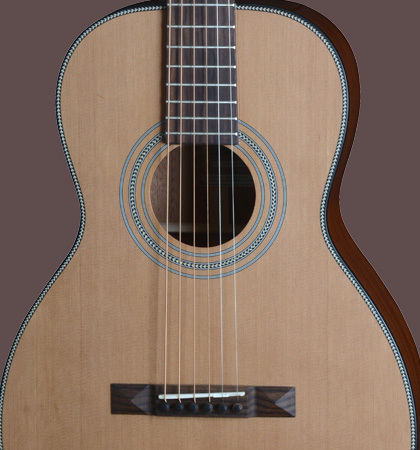 This Parlor guitar makes musician hearts beat faster. Their versatile sound spectrum goes hand in hand with powerful dynamics and an overtone spectrum that is second to none. 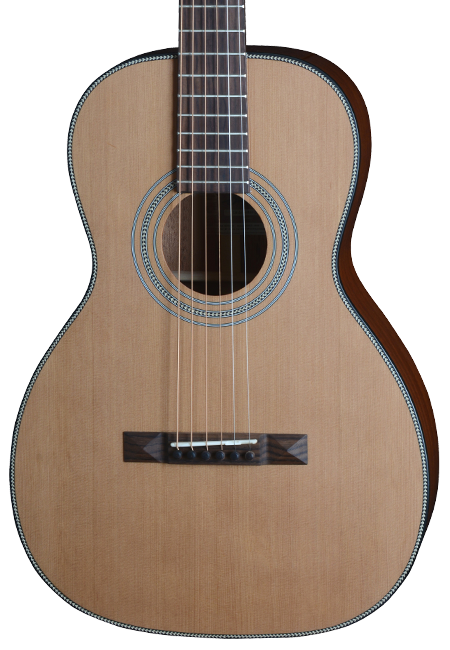 The massive Canadian cedar top gives the parlor its smoky, woody timbre and ensures a quick and direct response. Equipped with these attributes, the Stanford Little Sister is a clear recommendation, not only for the “Bluesbrothers” but also for Fingerstylers. 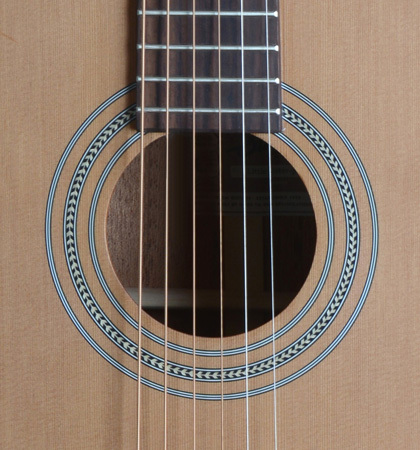 The back and sides of this western guitar are veneered with mahogany. The sheer satin finish applied to the purist appearance of the Stanford Parlor. 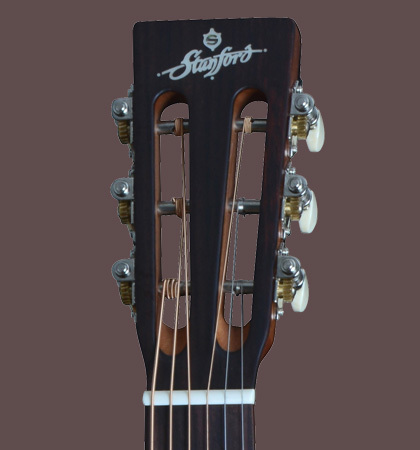 A classic slotted headstock and the pyramid bridge gives the Stanford Little Sister their distinctive vintage look.